Duke had proposed to either cap the material in place — in leaking, unlined landfills — or to develop a “hybrid” of excavation and cap-in-place. At public meetings across the state, residents demanded that DEQ force the utility to fully excavate all of the material and place it in a lined landfill. These final six plants are in addition to eight that Duke has agreed to excavate or has completed excavation. SELC had sued Duke Energy over its coal ash disposal methods, compelling the utility to excavate its impoundments at the other eight North Carolina plants. Duke must submit final excavation closure plans to DEQ by Aug. 1. Those plans must include potential locations for the coal ash and an estimated timeline. Duke can also propose to recycle the ash, such as for use in concrete, also known as beneficiation. In beneficiation, fly ash is burned in a special reactor. The material is then captured in a “bag house” and stored in a silo or dome before trucks carry it offsite. State air permits are required for all phases of the process. Passed and amended by the legislature, the Coal Ash Management Act requires Duke to identify three plants for beneficiation. The utility has selected HF Lee in Wayne County, the former Cape Fear plant in Chatham County and Buck in Rowan County. After Duke submits its closure plans, DEQ will hold public meetings in the counties where each site is located, and open a public comment period. By Dec. 1, Duke must submit clean up plans to address groundwater contamination, the result of the leaking impoundments at all six sites. Federally mandated well monitoring showed groundwater beneath all of Duke Energy’s coal ash plants, even those that have been retired, is contaminated. Marshall and Cliffsidecontained high levels of at least 10 chemicals, including thallium, cobalt and chromium. Results at Allen showed exceedancesof several chemicals, including beryllium; Roxboro’s contamination included elevated concentrations of arsenic. Environmental groups and affected neighbors quickly applauded the decision. Dave Rogers of the Sierra Club’s Beyond Coal Campaign said, “This is great news for communities who have been harmed by decades of Duke’s admitted negligence in handling coal ash. We’re glad Gov. Cooper is upholding his promise to protect our drinking water and our health from this toxic waste. 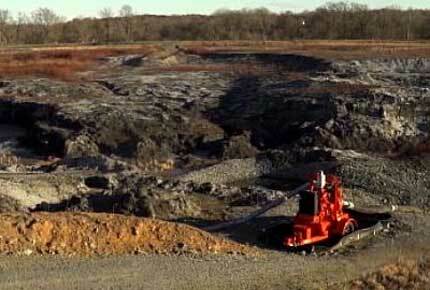 The debate about how to deal with Duke Energy’s coal ash mess should be over. Duke owes it to our communities to clean up its toxic mess and not try to force customers to foot the bill for it. And Duke also needs to stop making the problem worse by continuing to burn dirty, climate-disrupting coal and fracked gas. “We are thrilled that Gov. Cooper has sided with North Carolinians who for years have spoken loud and clear that Duke Energy must clean up its coal ash mess. With decisions like today’s, the governor continues to prove why he earned an ‘A’ in our latest scorecard for his environmental leadership over the last two years. He has used his authority to strengthen public health protections which benefit all North Carolinians, particularly those most victimized by corporate polluters.